This is indeed the best snapshot I think. In my opinion the jungle boime is the BEST biome yet. But I think it should have it's own mobs. Like gorillas, They would be neutral, And lions, They would be hostile. wow, the 1.1 update was like a week ago, and Jeb is ALREADY doing the snapshots of the next update..
holy cow, Jeb! continue with the progress! collision box in ladders: parkour maps are saved! climbable vines: awesome! i should start a vine farm. Zombies AI: zombies? i wan't Testificate AI! nice Jeb! im looking forward to the new update! 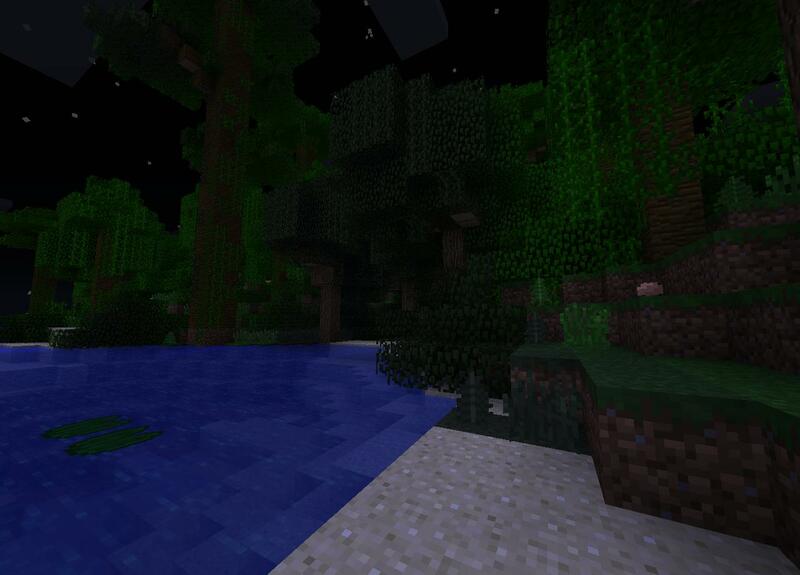 LOVE the jungle biome! it needs like, aztec ruins or something like that. The meaning of life: A characteristic that applies to any organism that grows, reproduces, and responds to stimuli. Why is it so hard for everyone to figure out? The jungle biome sounds interesting, but ultimately, it's useless to me as I'm not going to create a new world on my server. The mojang crew should determine away to back port these features before adding any new biomes so everyone can experience them. They did it with 1.8 ... what's the problem now? I'm starting to see a lot of Terraria in the jungle part of the snapshot. NoobButt123: "I THNK THER SHLD BE BUTTS IN MYNCRAFT." Go with what works, I guess. Are the baby animals always going to have big heads? It just looks a little odd with wolves lol. Funny, I was just wondering when vines would be climbable. Lo and behold, it's included in the newest snapshot. Another update? For god sakes now we wave to wait for all the mods to update again. Are you seriously complaining about content updates or is that your tongue I see firmly in your cheek? So people know, Seed "Jungle :D" without quotations spawns you in a jungle too. Anyways I love the new jungle biome, very awesome tree formations and the vine climbing is cool too, makes for cool parkour addition. The new AI's are retarded though if I can be blunt, the wolves example (didn't test a lot to notice if any other mob did) spin in circles when attacking or just walking. I'm guessing there would be a lot of rain in the jungles.